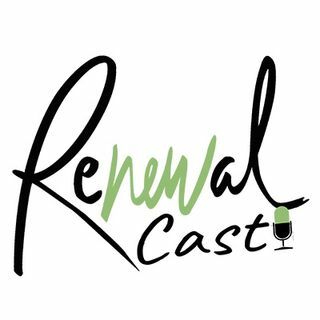 The Renewal Podcast is a weekly podcast that features interviews, and discussions and teaching on various biblical and theological subjects from a reformed perspective. Everyone has things they believe in. Somethings we hold dear and will fight for and other things we are really rather flippant about because we think they do really matter. We live in a world where truth and belief are often confused, for instance, some suggest strongly that we are to value the beliefs of others. While I would admit ... See More that we ought to listen to others to understand their given belief and do this with respect for those whose beliefs may differ from our own. This shouldn't suggest that just because one holds a belief there is value (or what Stephen Colbert has called "truthiness") in that belief. The fact is many people have and still do belief things that are wrong and even dangerous. A radical example of this would be the belief system of Hitler and how his ideas where realized in Nazi Germany. Most people would agree that Hitler was wrong and the beliefs he had were wrong and dangerous. We often, however, do not place beliefs that some hold about God and the gospel on this level -- of actually being dangerous. God is Truth. What God has said about Himself and who we are is of radical importance -- not because these things are believed but because of who declared them to be True. Our mission at RenewalCast.com is to be one resource (among many greater ones) in helping to ground your belief on Truth that is revealed to us by God Himself in Scripture.